For broader coverage of this topic, see General classification in the Tour de France. Miguel Indurain, winner of five consecutive GC Tour titles from 1991 to 1995. This is a list of the Tour de France general classification winners. The Tour de France is an annual road bicycle race held over 23 days in July. Established in 1903 by newspaper L'Auto, the Tour is the most well-known and prestigious of cycling's three "Grand Tours"; the others are the Giro d'Italia and the Vuelta a España. The race usually covers approximately 3,500 kilometres (2,200 mi), passing through France and neighbouring countries such as Belgium. The race is broken into day-long stages. Individual finishing times for each stage are totalled to determine the overall winner at the end of the race. The course changes every year, but has always finished in Paris; since 1975 it has finished along the Champs-Élysées. The rider with the lowest aggregate time at the end of each day wears the yellow jersey, representing the leader of the general classification. There are other jerseys as well: the green jersey, worn by the leader of the points classification; the polka dot jersey, worn by the leader of the mountains classification; and the white jersey, worn by the leader of the young rider classification. After it emerged that Lance Armstrong had used performance-enhancing drugs, in October 2012 the Union Cycliste Internationale (UCI) stripped Armstrong of the seven consecutive Tour general classification titles between 1999 and 2005. The Tour de France was established in 1903 by newspaper L'Auto, in an attempt to increase its sales. The first race was won by Frenchman Maurice Garin. He won again the next year, but was disqualified after allegations that he had been transported by car or rail arose. Henri Cornet became the winner after the dispute was settled; he is the youngest to win the Tour. Following the scandals in 1904, the scoring system was changed from being time-based to a points-based system, in which the cyclist who has the fewest points at the end of the race is victorious. This system lasted until 1912, when the time-based system was re-introduced. French cyclists were successful in the early Tours; the first non-Frenchman to win the Tour was François Faber of Luxembourg, who won in 1909. Belgian riders were more successful before and after the First World War (which suspended the Tour from 1915 to 1918). In the 1920s, trade teams dominated the Tour; cyclists such as Nicolas Frantz won the Tour with the Alcyon team. However, when Alcyon cyclist Maurice De Waele won the Tour in 1929 while ill, the organisers decided to introduce national teams the following year, to stop team tactics from undermining the race. Because of the Second World War, the Tour de France was suspended from 1940 to 1946. After the Second World War, no one dominated the Tour until Louison Bobet, who won three consecutive Tours from 1953 to 1955—he was the first person to achieve this feat. This was bettered by the French cyclist Jacques Anquetil, who won four successive Tours from 1961 to 1964. Anquetil, who also won in 1957, became the first to win five Tours. Anquetil's five victories were matched when Belgian cyclist Eddy Merckx won four successive Tours from 1969 to 1972 and the 1974 Tour. Merckx is the only person to have won the general, points and king of the mountains classifications in the same Tour. He achieved this in 1969, when he won his first Tour. Merckx looked to be heading for a record sixth Tour victory in 1975, but Bernard Thévenet beat him, becoming the first French winner in seven years. Thévenet won again in 1977; however, he was eclipsed in following years by fellow Frenchman Bernard Hinault, who won consecutive Tours in 1978 and 1979. Hinault won the Tour at his first attempt in 1978; becoming one of 11 cyclists (including Anquetil, Merckx, Hugo Koblet and Fausto Coppi) managed to do so. In 1980, Hinault was going for a third consecutive win, but had to pull out because of tendinitis, and the Tour was won by Joop Zoetemelk. Hinault returned in 1981 and won that race as well as the one after that. Hinault sat out the Tour in 1983, and another Frenchman—Laurent Fignon—achieved victory. Fignon won again the following year, beating Hinault; Hinault recovered in 1985 to win his fifth Tour. American Greg LeMond became the first non-European to win the Tour in 1986. LeMond missed out in 1987 and 1988, but returned in 1989 to win the Tour by finishing eight seconds ahead of Laurent Fignon, the smallest winning margin in the Tour's history. LeMond also won in 1990. In 1991, Spaniard Miguel Indurain won his first Tour. 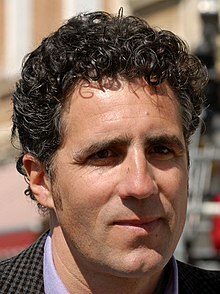 Indurain came to dominate the Tour, winning four more Tours consecutively—making him the first person to win five consecutive Tours. He tried to win a record-high sixth Tour in 1996, but was beaten by Bjarne Riis, who later admitted to using Erythropoietin. Jan Ullrich and Marco Pantani won in 1997 and 1998, respectively; however, Pantani's victory was overshadowed by doping scandals. The 1999 Tour saw the first victory of Lance Armstrong, which was followed by six more, for a total of seven consecutive victories. He was stripped of his titles in October 2012, when it emerged he had used performance-enhancing drugs throughout much of his career, including the Tour de France victories. Floyd Landis won the Tour in 2006, but was later stripped of his title, after a drug-control test demonstrated the presence of a skewed testosterone/epitestosterone ratio. Óscar Pereiro was subsequently awarded the victory. Alberto Contador won the 2007 Tour with the Discovery Channel. The 2007 Tour was also marred by doping scandals, thus Contador was unable to defend his title in 2008, as his Astana team was banned for its part. Fellow Spaniard Carlos Sastre of Team CSC won. Contador and Astana returned in 2009 to regain the title. He won the Tour again in 2010, but was later stripped of his title after he was found guilty of doping. Runner-up Andy Schleck was awarded the victory. Cadel Evans became the first Australian to win the Tour in 2011. The following year, Bradley Wiggins became the first British cyclist to win the Tour. Chris Froome became the second successive British winner in 2013, which was the 100th edition of the race. He could not defend his title the following year, as he crashed out in stage 5, with Vincenzo Nibali winning his first Tour. Froome regained the title in 2015 and then successfully defended it in 2016, the first rider in over 20 years to do so. He then backed it up with a third consecutive win in 2017. The "Year" column refers to the year the competition was held, and wikilinks to the article about that season. The "Distance" column refers to the distance over which the race was held. The "Margin" column refers to the margin of time or points by which the winner defeated the runner-up. The "Stage wins" column refers to the number of stage wins the winner had during the race. Lance Armstrong was removed from the head of the list after having all seven of his Tour victories stripped when he was found guilty of repeated doping offences. Had his tainted Tour victories been reallocated (as were the victories of Floyd Landis and Contador) to the second placed rider in each race, Jan Ullrich would have joined the list with 4 Tour wins. However, the race organisers ASO decided not to reallocate the titles won in those years, in recognition of the historic doping problem in the sport at that time - Ullrich himself having been banned for a doping violation. Ullrich, therefore, has a single Tour victory to his name. A. ^ Bjarne Riis has admitted to doping during the 1996 Tour de France. The organizers of the Tour de France have stated that they no longer consider him to be the winner, although Union Cycliste Internationale has so far refused to change the official status due to the amount of time passed since his win. Jan Ullrich was placed second on the podium in Paris. B. a b c d e f g h Lance Armstrong was declared winner of seven consecutive Tours from 1999 to 2005. However, in October 2012 he was stripped of all titles by the UCI due to the use of performance-enhancing drugs. The Tour director Christian Prudhomme had previously declared that if this happened, there would be no alternate winners for those years, but this has not yet been made official. C. a b Floyd Landis was the winner at the podium ceremony in Paris on the last day of the 2006 Tour, but subsequently was found to have tested positive for performance-enhancing drugs during stage 17 of the race. The United States Anti-Doping Agency found him guilty of using synthetic testosterone during the race and stripped him of his title on 20 September 2007. D. a b c Alberto Contador was the winner at the podium ceremony in Paris on the last day of the 2010 Tour, but subsequently was found to have tested positive for the prohibited substance Clenbuterol on a rest day. The Court of Arbitration for Sport found him guilty of using clenbuterol during the race and stripped him of his title on 6 February 2012. E. ^ Henri Cornet was declared the winner of 1904 race after the disqualification of Maurice Garin for cheating. ^ FAQ. Union Cycliste Internationale. Archived from the original on 23 July 2009. Retrieved 17 August 2009. ^ Dauncey, Hugh; Hare, Geoff (2003). Tour de France: 1903-2003. Routledge. p. 149. ISBN 978-0-7146-5362-4. ^ Scholiansky, Christopher (6 July 2009). "Will He? Won't He? Can Armstrong Win Tour de France?". American Broadcasting Company. Retrieved 14 August 2009. ^ "Guide Historique 2017" (PDF). Tour de France. Retrieved 9 October 2017. ^ a b Fletcher, Paul (23 July 2017). "Tour de France 2017: Chris Froome wins yellow jersey for the fourth time". BBC Sport. Retrieved 26 September 2017. ^ "Armstrong seals seventh Tour win". BBC Sport. 24 July 2005. Retrieved 17 August 2009. ^ a b "Armstrong stripped of all seven Tour de France wins by UCI". BBC Sport. 22 October 2012. Retrieved 22 October 2012. ^ "1903–1914: Pioneers and 'assassins'". BBC Sport. 5 June 2001. Retrieved 20 August 2009. ^ "1930–1939: Adapt to survive". BBC Sport. 5 June 2001. Retrieved 20 August 2009. ^ "1947–1956: Post-war rivalries". BBC Sport. 5 June 2001. Retrieved 20 August 2009. ^ "1957–1966: Anquetil 5–0 Poulidor". BBC Sport. 5 June 2001. Retrieved 20 August 2009. ^ "1967–1977: Tragedy before a Cannibal's feast". BBC Sport. 5 June 2001. Retrieved 18 August 2009. ^ "1978–1984: The Badger's golden era". BBC Sport. 5 June 2001. Retrieved 19 August 2009. ^ Armijo, Vic (1999). The complete idiot's guide to cycling. Alpha Books. p. 28. ISBN 0-02-862929-9. ^ "1985–1990: American, Irishman and Spaniard". BBC Sport. 5 June 2001. Retrieved 22 August 2009. ^ "1991–1995: Big Mig's masterclass". BBC Sport. 5 June 2001. Retrieved 22 August 2009. ^ Duff, Alex (25 May 2007). "Riis, Tour de France Champ, Says He Took Banned Drugs". Bloomberg L.P. Archived from the original on 30 September 2007. Retrieved 31 August 2009. ^ "1996–2000: Doping and the great recovery". BBC Sport. 5 June 2001. Retrieved 22 August 2009. ^ "Overall standings 2002". BBC Sport. 28 July 2002. Retrieved 20 August 2009. ^ "Armstrong seals seventh Tour win". BBC Sport. 24 July 2005. Retrieved 20 August 2009. ^ Macur, Juliet (5 August 2006). "Backup Sample on Landis is positive". The New York Times. Retrieved 20 August 2009. ^ "Sastre wins Tour de France crown". BBC Sport. 27 July 2008. Retrieved 8 September 2009. ^ "Tour de France: Cavendish wins historic green jersey". BBC Sport. 24 July 2011. Retrieved 24 July 2011. ^ "Bradley Wiggins wins Tour de France for Team Sky". BBC Sport. 22 July 2012. Retrieved 22 July 2012. ^ Thompson, Anna (22 July 2013). "Tour de France:Chris Froome wins 100th edition of race". BBC Sport. Retrieved 31 May 2015. ^ "Tour de France: Vincenzo Nibali completes race victory". BBC Sport. 27 July 2014. Retrieved 31 May 2015. ^ "Tour de France 2016: Chris Froome completes third race victory". BBC Sport. 24 July 2016. Retrieved 17 November 2016. ^ "Tour takes Riis off winners list". BBC Sport. 7 June 2007. Retrieved 12 April 2008. ^ "The UCI recognises USADA decision in Armstrong case". Union Cycliste Internationale. 22 October 2012. Archived from the original on 24 October 2012. Retrieved 22 October 2012. ^ "Oscar Pereiro winner of the 2006 Tour de France". Union Cycliste Internationale. 21 September 2007. Archived from the original on 23 February 2009. Retrieved 12 April 2008. ^ "CAS sanctions Contador with two year ban in clenbutorol case". Cyclingnews.com. Future plc. 6 February 2012. Retrieved 6 February 2012. Augendre, Jacques (2016). Guide historique [Historical guide] (PDF). Tour de France (in French). Amaury Sport Organisation. Archived (PDF) from the original on 17 August 2016. Retrieved 17 November 2016. "Tour de France" (in French). Mèmoire du Cyclisme. Archived from the original on 29 January 2013. Retrieved 17 November 2016. This page was last edited on 27 March 2019, at 08:16 (UTC).